***HUGH LIFE UPDATE*** – I aM BEYONd EXCITED TO SAY THAT I AM IN NEW YORK AND I AM HERE FOR 3 WEEKS and so I am going to say that the next 3 weeks I will be happy every second because New York is my favourite place ever (second ONLY to Disneyland). Ok so its not really a life update – nothing has changed in my life – just my location for the next 3 weeks but still. One of my life goals was to live in New York for a minimum of 3 months. Now – when I made this life goal all those many years ago – I didn’t realise that things cost money – and renting a room in NYC for 3 months is actually pretty bank-breaking. SO I doing 3 weeks for now (but I fully intend on coming back for the 3 months one day – it will happen). So – the Happy Series if going to change a little bit – instead of there being a bit of a diary intro, general ramblings and then my 5 things that made me happy – I am going to start doing New York Diaries and then will make my ‘5 happy things’ posts into more of a list vibe in a different post. So they will be shorter and snappier but they will still be here. I have been finding it so hard to keep on top of life recently. Flying back from Jamaica – going in to UK time zones and then flying back across the Atlantic to USA my body has been crying for sleep. So I fell behind for a bit but I am back and ready to rumble. So my first New York Diary Post will be up asap – so keep a look out for that but for now – here are a few things that made me SUPER happy today. By the way – it is Thursday 12th October. I am aware it will say that on my post date but I am just adding it in for lols. 1 . I am feeling so so happy right now. I am in my favourite place – NYC is literally magic to me – so the past couple of days I have felt so so great. Every corner I turn I am like AH I LOVE IT HERE. So it is such a great feeling. 2 . I have been eating the best food. 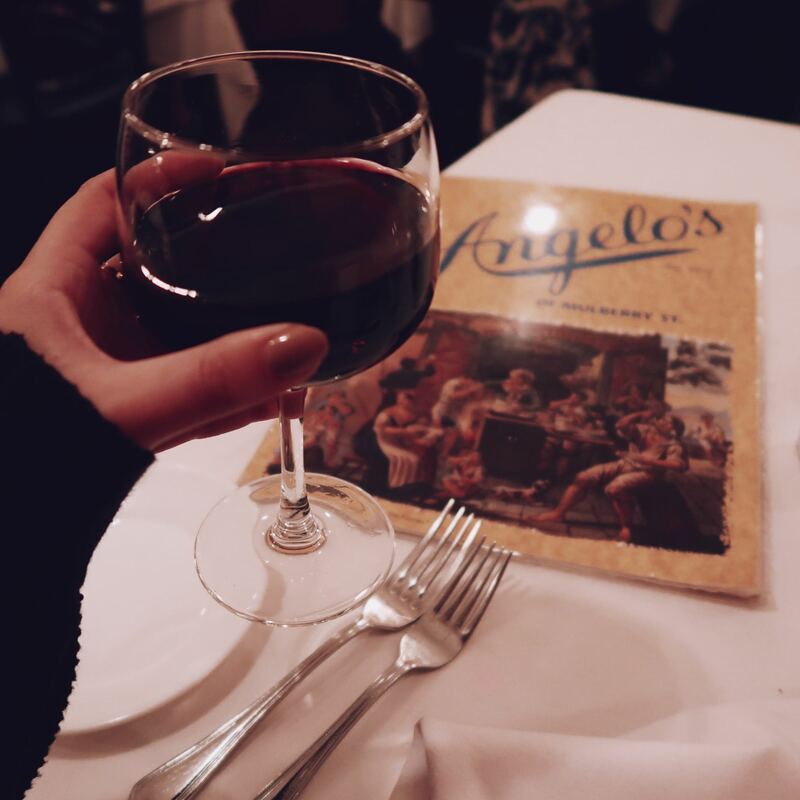 Last night we went to Angelos (in Mulberry Street) which is one of my all time favourite restaurants in the world. 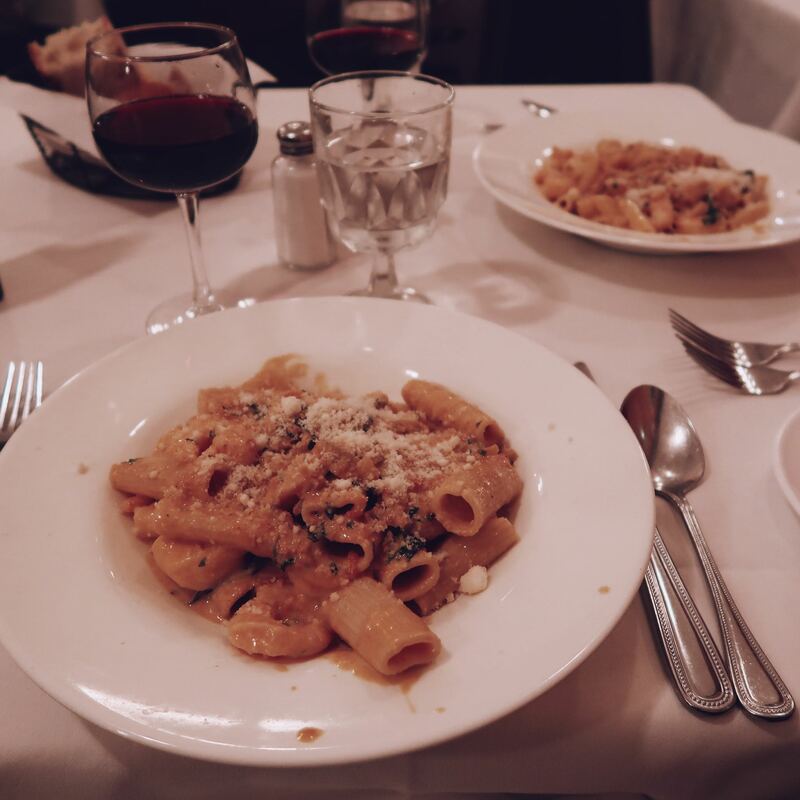 Had Rigatoni Vodka which is basically the best sauce in the world. 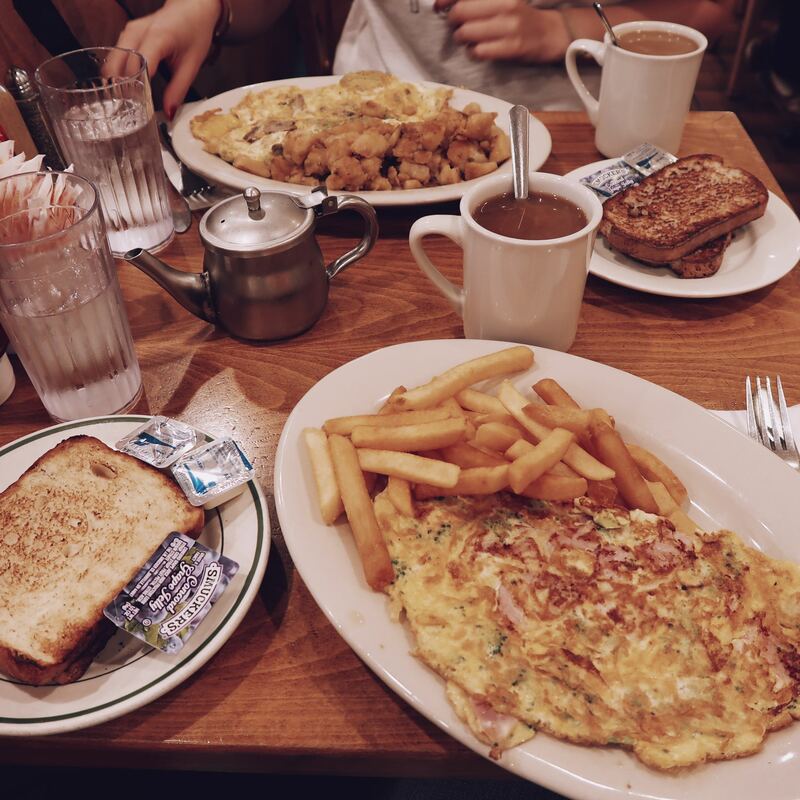 I JUST ate a grilled cheese – which was so sickeningly filling I can’t even explain. 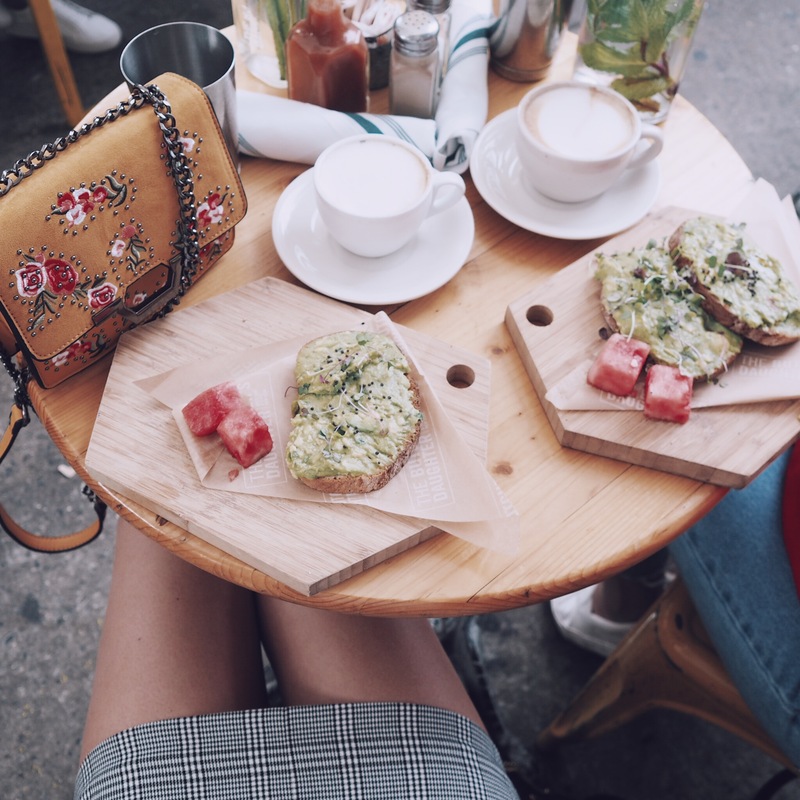 I had avocado on toast the other day – so many coffees. I am so happy. 3 . 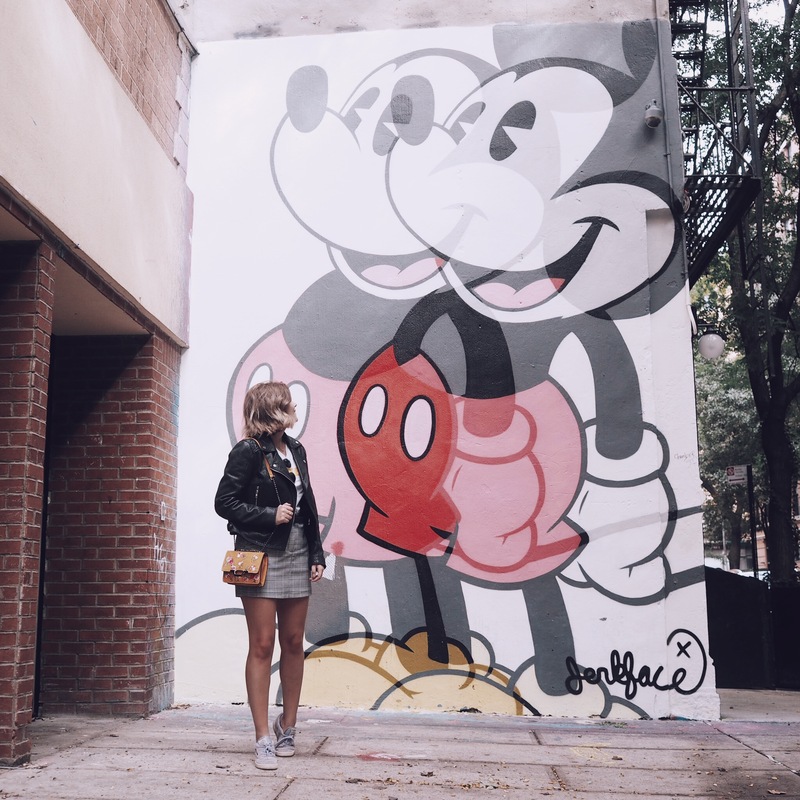 Found a Mickey Mouse graffiti wall. So great to be catching up with old friends in NYC. 4 . 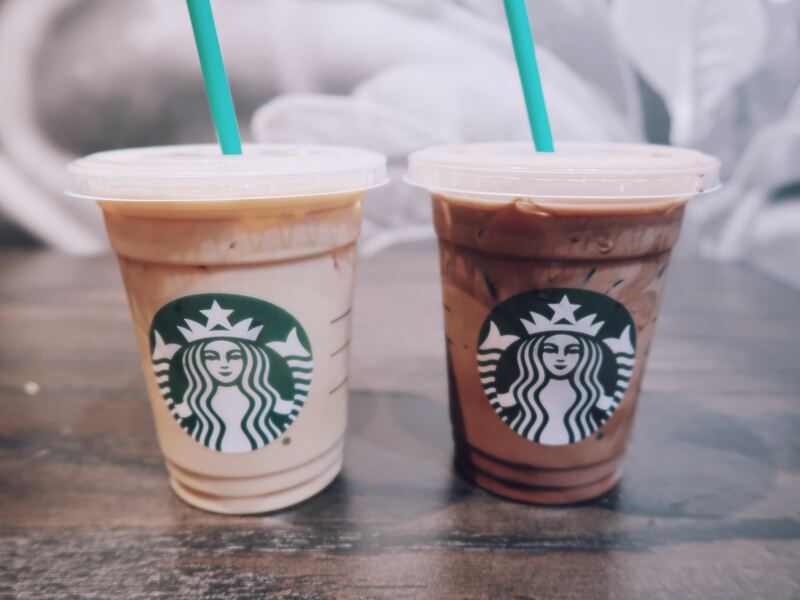 Currently sitting in Starbucks doing some work (they are playing the best songs from the Old American Songbook and I am in heaven) but I am editing a video of me and my sister and it is making me SO happy. I am not sure if anyone else will find it funny but I can’t explain how much it is making me laugh editing it. Stay tuned for that. 5 . I had a haircut the other day which I hated. Hated. It made me look like a weird spiky haired boy – but today I have kinda started to like it – so thank god.